Summer Fashion in Black & White! I'm Still Obsessed With My Old Navy Sales! Last shopping trip to Old Navy, I made away like a bandit with their $2 tanks! 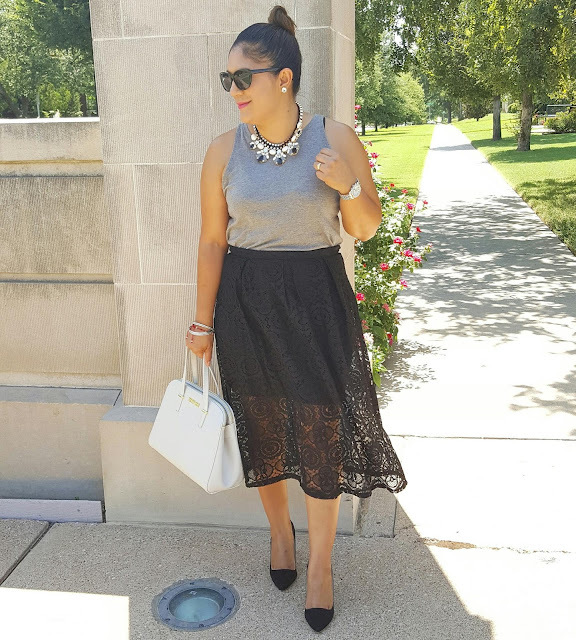 I've worn them all and today's look is chic and glam!I dressed up the tank top with a lace midi skirt from Target (clearance deal) $6.99, black pumps, and statement accessories!Look like a million bucks for less by accessorizing the simplest pieces with gorgeous details! Old Navy Sales Are Amazing Right Now! So of course, we made a trip to Old Navy in search of their famous July 4th tees for the family and they were all sold out! I waited till the last minute!But then I made it to the clearance aisles, of course! And I just couldn't pass up on clothing, shoes, and bathing suits ringing up as low as $1.04!! !Today's weekend look was all under $10! 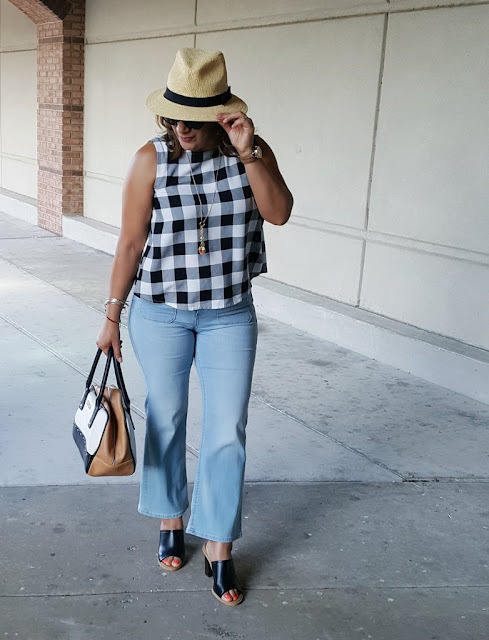 Old Navy check plaid crop top was $2.04, Old Navy flare crop jeans $4.98, and black mule sandals $1.98! Yes, their clearances sales will probably vary by store, but my local store sure did have great markdowns!Other items purchased for my kids, husband, and me ranges from $1.04 to $5.98! Still under $6! Love great deals!